The UK’s new car market declined 11.2% year-on-year in November, according to figures from the Society for Motor Manufacturers and Traders (SMMT). 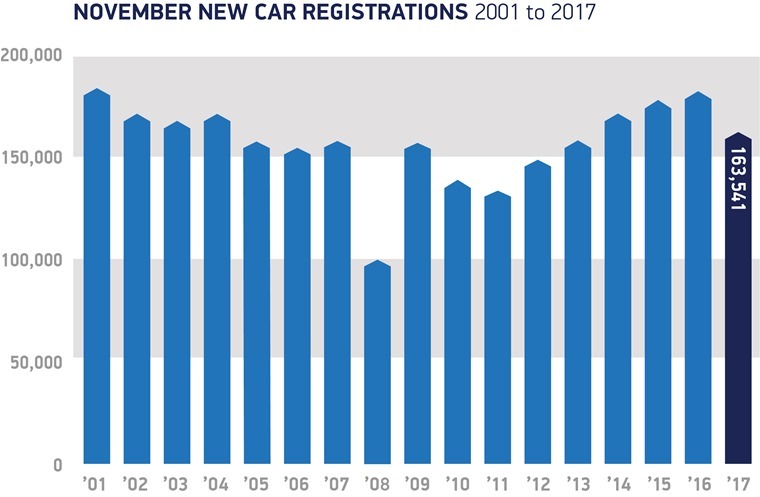 In what marks the eighth consecutive month of falling registrations, a total of 163,541 new cars hit UK roads, with all market sectors being affected by the falling demand for diesel cars. Business, fleet and private registrations all fell, down -33.6%, -14.4% and -5.1% respectively. Registrations fell across all body types expect specialist sports, which grew 6.7%. The biggest declines came in the executive and city car segments, which decreased 22.2% and 19.8% respectively. 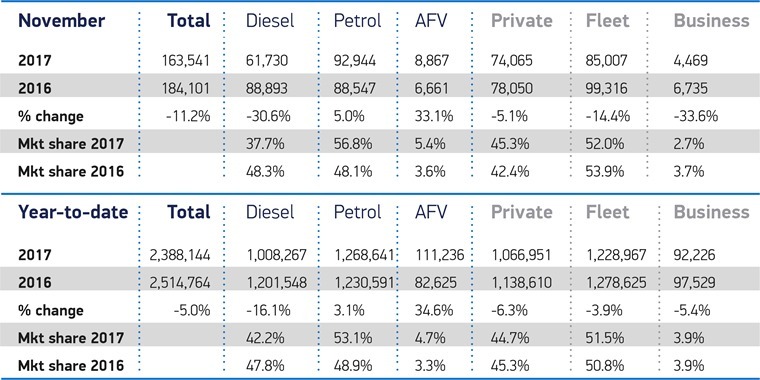 Petrol and alternatively fuelled vehicle (AFV) registrations actually increased by 5% and 33.1% respectively, but this wasn’t enough to make up for a massive 30.6% year-on-year drop in diesel registrations. The decline follows months of speculation and confusion about government’s air quality plans, although the recent Autumn Budget has gone some way to clarifying the government’s position. 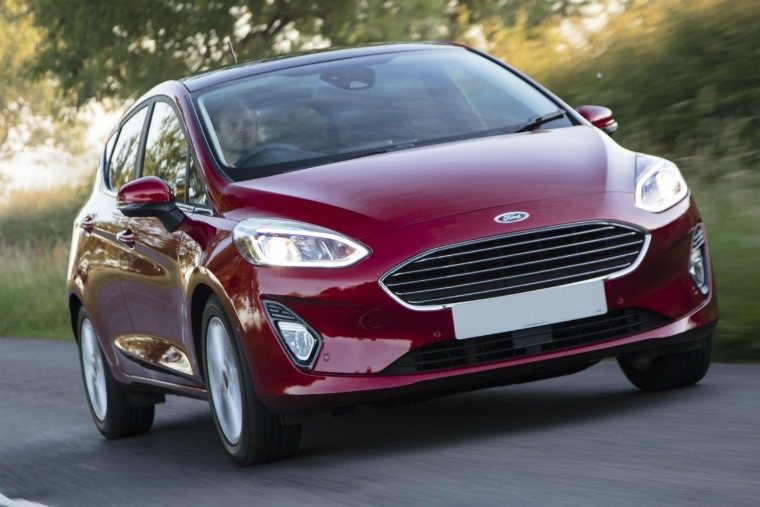 When it comes to the cars themselves, it appears the Ford Fiesta is flavour of the month, after missing out on the best-seller spot for a few months. Meanwhile, the Golf retains its number-two position, but the Focus has been pushed into third by the Mini in November. Crossovers continue to dominate too, with the Qashqai, Sportage and Kuga all finding themselves in the monthly top ten once again. Premium models continue to prove popular, with Mercedes’ A- and C-Class taking 7th and 9th position. Both were outdone by BMW’s 1 Series this month though, which takes sixth position.